Shortly after Rep. Darrell Issa (R-Calif.) said he would not seek re-election this year, President Donald Trump suggested drastically cutting funding for the United States Trade and Development Agency in an upcoming budget proposal. A lot has changed in seven months. Trump has since backed off on targeting the agency and last week he nominated Issa — an ardent supporter of the president — to be director of the trade agency. The nomination, if approved by the Senate, would fill an executive position that has been vacant since Trump’s inauguration and positions Issa to play a key role in advancing the president’s trade policies and ongoing fight with China. The United States Trade and Development Agency is a small independent federal agency with a $79.5 million budget whose primary goal is to increase U.S. exports in emerging economies. It attempts to do that in several ways, including conducting reverse trade missions, hosting training conferences and workshops, and supporting American-led infrastructure projects in several sectors such as transportation, energy and telecommunications. And for a relatively small agency, the USTDA seems to pay a dividend. According to the agency’s website, “for every dollar spent by the agency, $95 were generated in American exports,” and it has generated over $61 billion in exports since its creation in 1992. “This return on investment demonstrates the agency’s ability to meet the needs of the American business community,” Daniel F. Runde and his colleagues wrote in a report from the Center for Strategic International Studies in Washington. Nevertheless, and despite the agency seemingly aligning with the president’s goal of increasing American exports, Trump not only has attempted to reduce the agency’s budget but advocated — with several conservative groups — eliminating the agency outright. So why the shift in the president’s approach to the agency? Lynn Reaser, chief economist at the Fermanian Business & Economic Institute at Point Loma Nazarene University, said it’s because there now are likely two functions the administration sees USTDA fulfilling. The report by the Center for Strategic and International Studies also suggested a similar point, essentially saying that USTDA’s intervention is a way to directly help U.S. companies working abroad as they compete against government-backed Chinese firms. But even if the agency is becoming increasingly relevant to the president’s approach to trade, Issa, 64, remains an interesting choice to head the agency because of his business background and views on trade. In Congress, Issa has voted in favor of several foreign trade agreements and has continued to support the North American Fair Trade Agreement, a favorite target of Trump’s disdain. 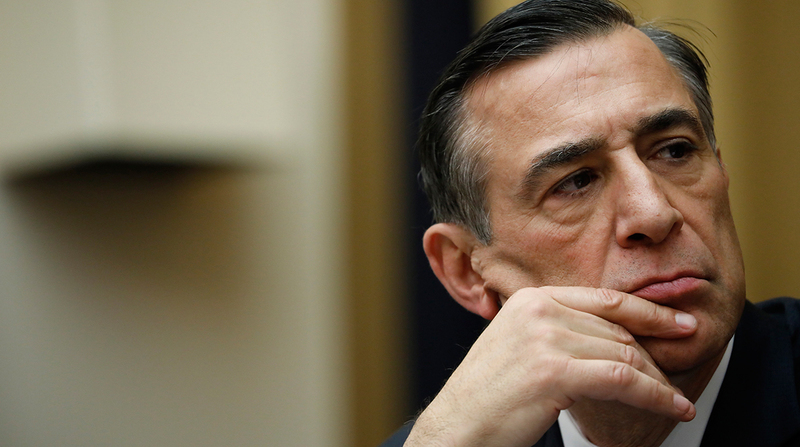 Issa, however, has said NAFTA needs changes. Reaser said Issa probably appeals to Trump because despite a few differences, ideologically they still are fairly in line. Aside from similarities in trade ideology, there are other clear political motivations for the appointment. Issa, who rose to national prominence when he was the chairman of the Oversight Committee, a leadership position he used to investigate the Obama administration’s handling of a bank relief program, the Fast and Furious gun scandal and the attack on a U.S. diplomatic facility in Benghazi, Libya, has been a strong supporter of Trump. He has praised the president’s position on many issues and repeatedly criticized the special counsel’s investigation into the president and his campaign, going so far as to call for an end to the investigation as recently as August. “Donald Trump has clearly prized loyalty above all else in his administration, so the chance to reward someone who has been steadfastly on his side … this is how this president operates,” said Thad Kousser, professor of political science at the University of California-San Diego. Kousser said that while trade was not a signature issue of Issa’s in Congress, the appointment still is very appealing because it allows him to stay in the political game in a position of power connected to the president, and it also helps elevate his profile if he hopes to run for another political office in California someday. Issa entered California politics in 1998 when he ran unsuccessfully for the U.S. Senate, before winning his House seat in 2000. Even after announcing that he would not seek re-election in his district, where a re-election bid was looking increasingly difficult, there was some discussion that Issa may run for a seat in the neighboring district where Rep. Duncan Hunter (R-Calif.) is in legal trouble.